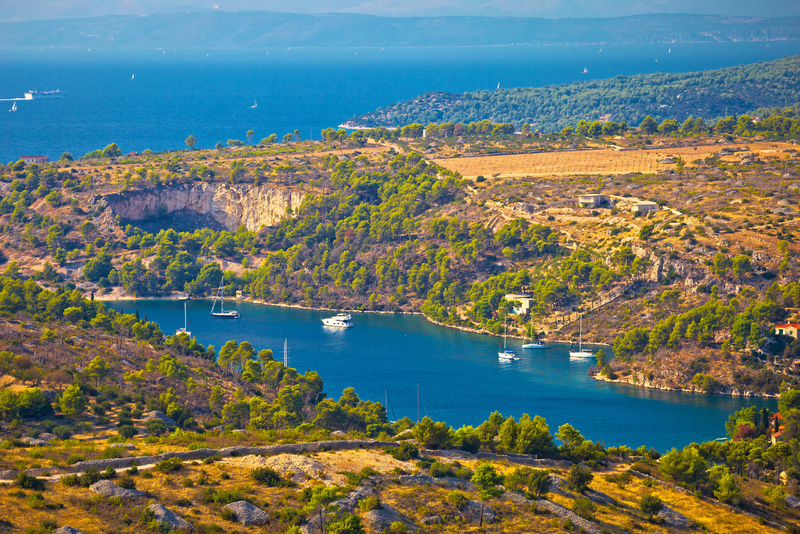 Chartering a sailing yacht, a motor yacht or a gulet around Split, Kaštela or Trogir will make for the perfect week filled with everything that Dalmatia has to offer – untouched, clear water bays, historical sites, party towns and plenty of delicious local food. The first destination in this area is Krknjaši Bay on the island of Drvenik Mali, just between Trogir and Šolta. This is the best place to escape from busy and loud marinas and high temperatures. Spend the afternoon here, swimming and snorkeling in a well-protected bay with clear turquoise water. 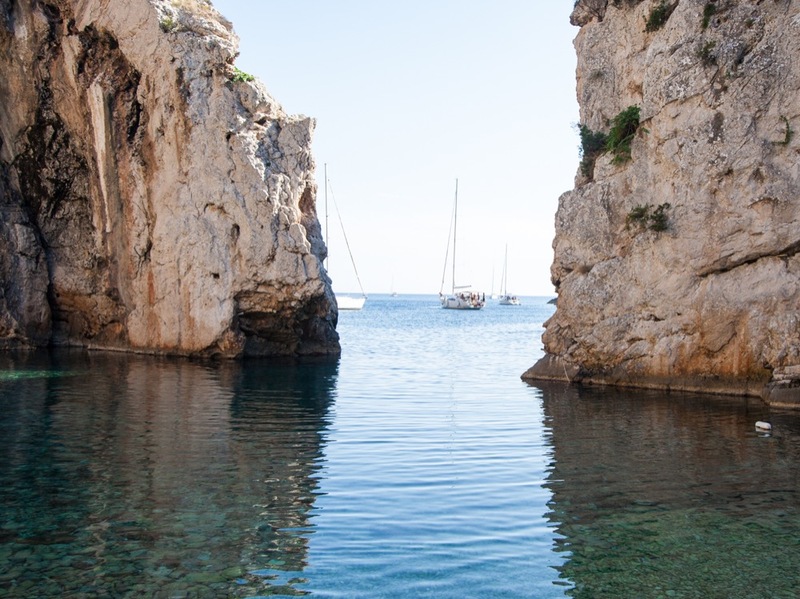 After a refreshing swim and a nap, steer your yacht towards Maslinica on the island of Šolta, just a few miles away. The view of the medieval Martinis Marchi castle will take you breath away, while the brand new pier and our cheerful mariner Alen will make sure you properly relax and enjoy this cove. 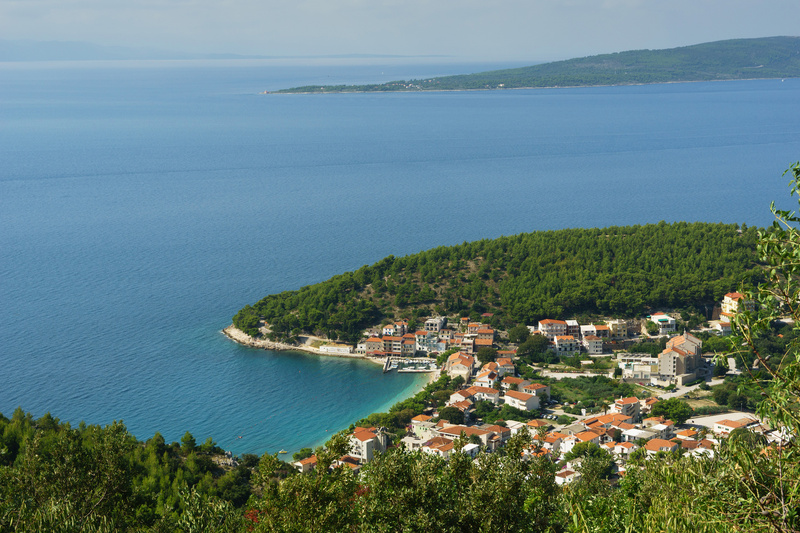 Next morning, after an energizing sleep, you can sail the longer route to Komiža on the island of Vis. Don’t forget to stop by the oldest fishermen museum there. 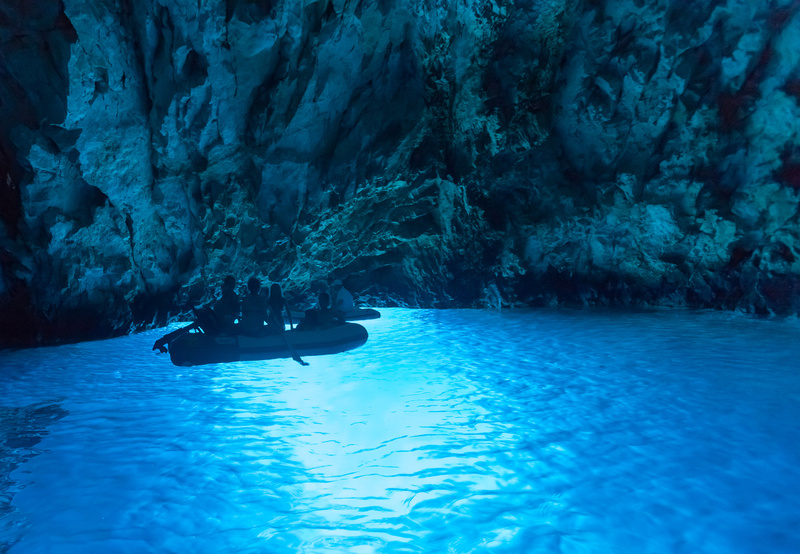 A visit to the Blue cave (Plava špilja) on Biševo island is also obligatory, especially between 9:00 AM and 1:00 PM. Afterwards, sail to the city of Vis, the island’s main town. On your way there, you will easily come by numerous bays, anchorages and beaches ideal for your afternoon swimming stop. After spending the night in Vis, exploring its monuments, wineries and restaurants, you should sail towards Pakleni Otoci (Pakleni Islands) and the town of Hvar on the same name island. Leave your yacht at Marina Palmižana and check out the best spots for partying in the Adriatic. 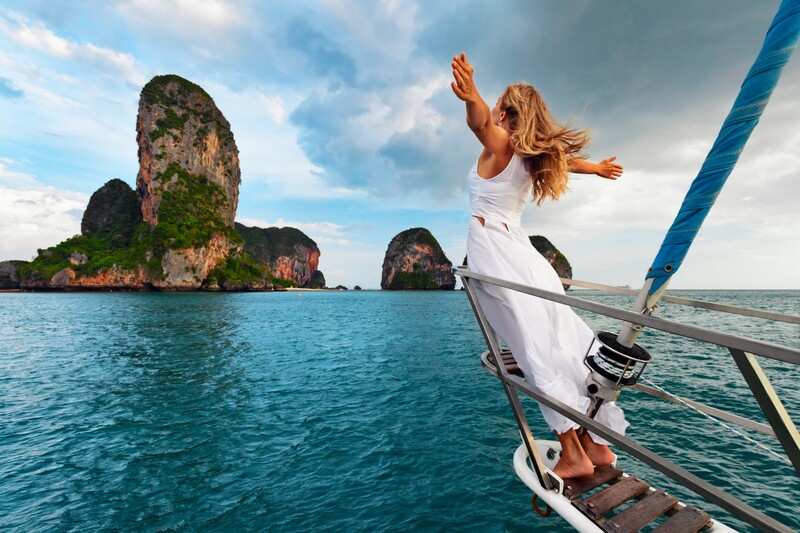 Hula-Hula bar and Carpe Diem are waiting for anyone who feels young and looks for fun, while others can partake in cultural and gastronomic delights of the island. 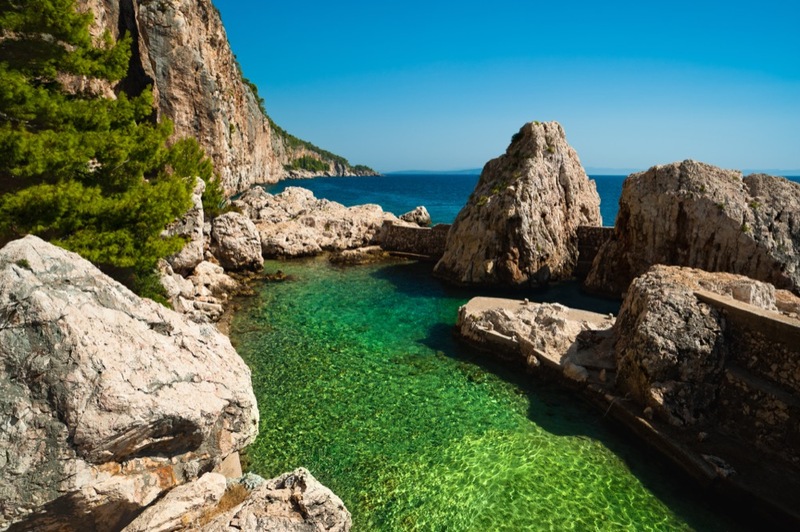 On your route back to the base, you should sail around the capes Pelegrin and Kabal to Vrboska, often called the Venice of Hvar, and rightfully so. The island of Brač, as your next destination, provides you with two marinas situated in the towns’ centers, while Bobovišća attracts attention with its brand new set of buoys anchored along its canal, surrounded by clear turquoise water. We guarantee you will not regret the decision to explore even just a half of the suggested sailing route during your vacation in Croatia. Whatever you decide, sailing on a charter yacht in the Split region and exploring Central Dalmatia will surely be an amazing experience.